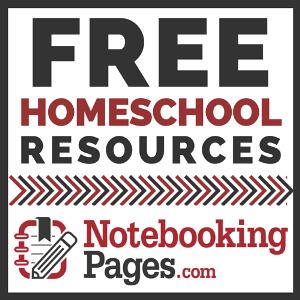 Classical Conversations is a huge name in the homeschool world. They are known personally within my family for their Classical Community that they lead using the Foundations curriculum. My family participated in the community until we moved last July and since we haven't joined another. Instead we have been attempting to do our best at it here at home. It was one of the best things that I had introduced my children too. Classical Conversations is a Christian Classical Education. Classical Conversations begun in 1997 with only 11 students! However they have grown tremendously since having more than 35,000 in many different states and countries! My family was offered to review the newest addition in the Classical Conversations family. 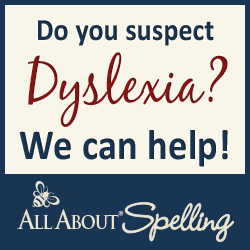 PreScripts which is a new writing series, there are 4 spiral bound books to choose from. For ages 5 - 10 and the price is $12.99. This book features 144 pages of scripture and art! This book focuses on teaching scripture from Proverbs and James. The day this book came in the mail I was actually gone for an errand. My husband was watching the kids and when the mail man brought the package Lexi came in the house and opened it. When I arrived home she had already completed 2 pages!! I'm glad it was intended for her because she sure was taking claim! Lexi is 9 years old and loves to write pretty. 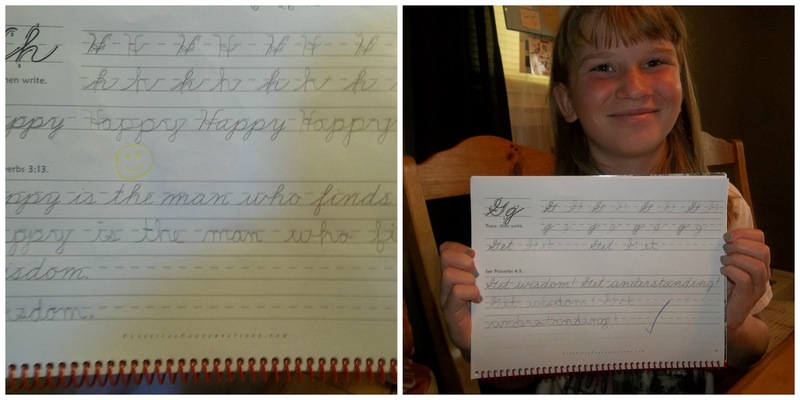 She is at the age of thinking cursive is fancy and pretty! She has been working a little here and there on her cursive skills. With this book she has been practicing capital letter formation, short words and Bible verses. 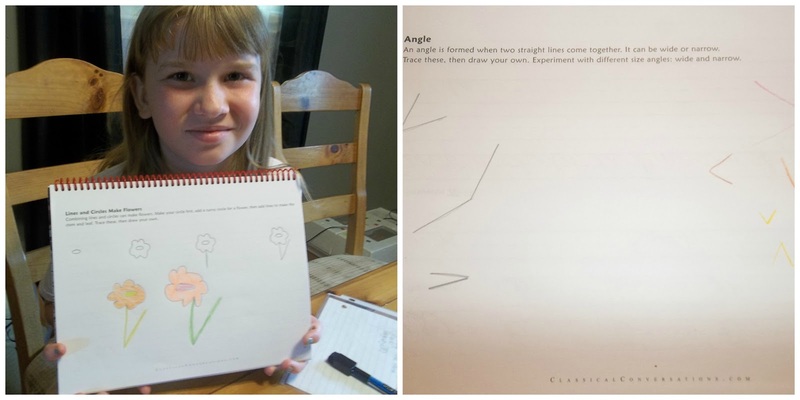 If that was all the book offered I am still confident that she would love it, but the PreScript book offers drawing lessons too! After she completes the writing lesson for the day she then has a fun drawing lesson to complete. In the beginning it started with simple lines and curves but as we have went further through the book it has been showing her how to add simple lines and circles (or other shapes) to create an object. Here she used lines and circles to make flowers. Her favorite so far has to be the lesson that added circles, curves, lines and dots to make bugs. After she finishes her art lesson she does color it and dress the page up to be a pretty picture. My personal thoughts on this are nothing but greatness. 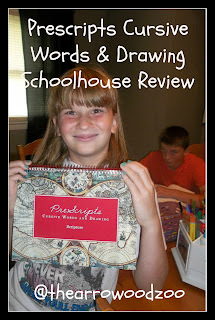 I love how it appeals to my daughter's love of writing and her love of drawing. I love how it is a different subject teaching my daughter about scripture; personally I can't get that in enough! The pages inside the book are very clear with tracing first to get the formation of the letters or shapes. I think the book is very appealing. Finally, I also believe that the price tag is excellent for the content within. 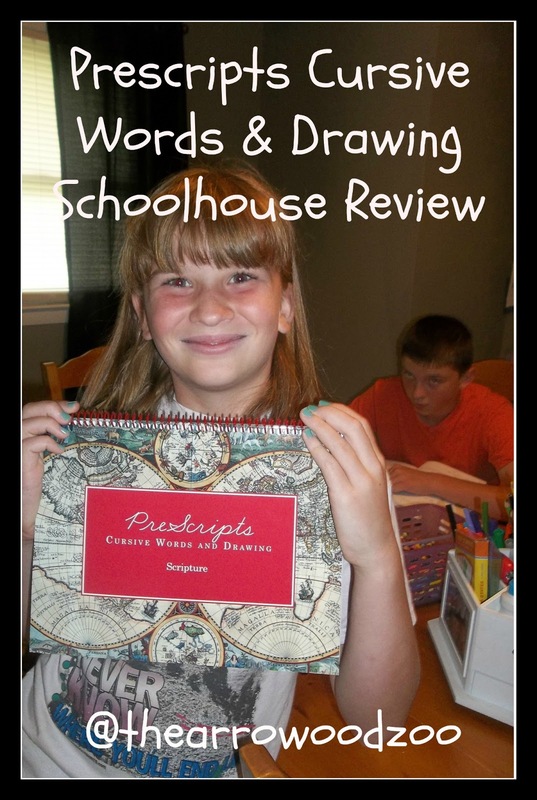 For more reviews on Prescripts from Classical Conversations please visit the Schoolhouse Review Crew's blog.